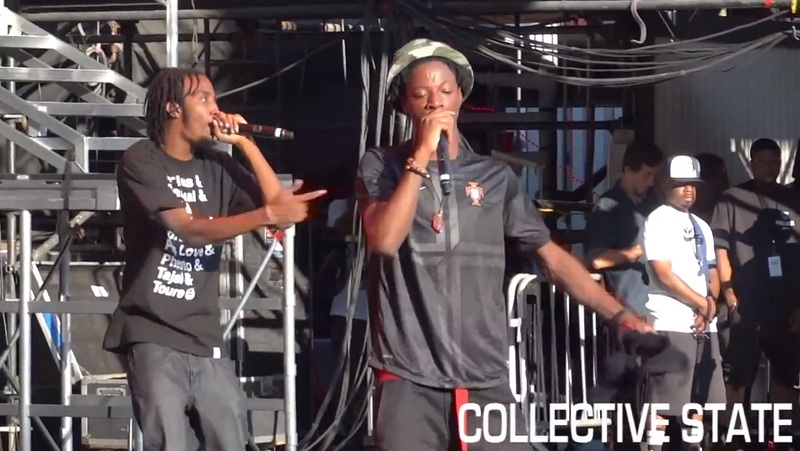 Pro Era and DJ Statik Selektah pay homage to deceased member Captial STEEZ by honoring his memory with “Like Water” live in Irvine, Caif. for the Under The Influence of Music Tour. However, fellow group members CJ Fly and Kirk Knight help Joey pick the mood right back up as they kick into “Survival Tactics” off Joey’s 1999 mixtape. Pro Era officially drops off the video treatment for “Like Water” off PEEP: The Aprocalypse. This song features the late Pro Era member Capital STEEZ along with Joey and CJ Fly. The video serves as a nice memorial for the late young artist and if you’re a hip hop head you’ll definitely take a liking to this raw and emotional cut. Glad to see this video finally drop, “Like Water” is probably my favorite tune off the entire project. R.I.P. Capital STEEZ.